Some quotes from Mommies who used Midwives: I will add more as I get them. I thought it would be nice to hear from lots of Moms on how great their midwives were. S: I chose to have a midwife because they tend to be more of naturalists than doctors do. I was very determined to let nature take its course and to do everything naturally and she was very supportive of my decisions, including my choice to breastfeed which was extremely important to me. She was amazing during labor and delivery and so was her entire nursing staff. I saw a doctor for my first pregnancy (which ended in a miscarriage), and I can honestly say I will stick with my midwife for any future pregnancies. She was so much more personal and positive and supportive than any doctor I've met. L: I did! It started out as an accident, actually. I went to Massena OB/GYN clinic and they never used to have a midwife, and I didn't know at first that they had hired a midwife until I was about 3 months into it. My regular OB was out on a delivery and I was asked if it was okay if the midwife saw me instead, or if I should reschedule. I had no problem seeing a midwife, in fact, I was excited to know that they had one on staff. And from the minute she introduced herself I knew that SHE is who I needed to be with. She's young, and hip, and just so easy to talk to, like talking to a long-time friend, not a doctor who needed to be somewhere 10 minutes ago. After starting to see her, she got me thinking about all of the medical interventions. She got me seeing childbirth as a natural and normal part of life. It's something that we, as women, are meant to do. Pregnancy and Childbirth is NOT a medical emergency (in most cases). 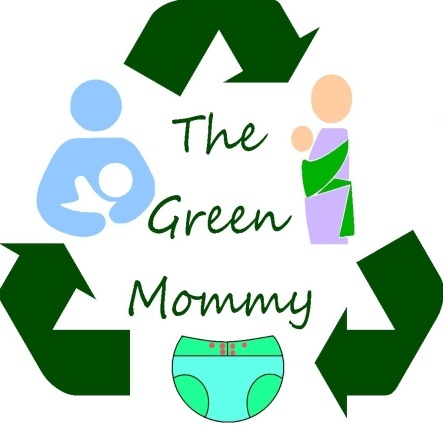 I just can't express in words everything that she has given me, but she (and my lactation consultant) is the reason why I've gone green (and a little bit crunchy around the edges). I can't wait to have another baby, because I'm pretty set on a homebirth now, and since meeting my midwife I know that I can do it.